How is Thanksgiving already a week away?! It’s honestly one of my favorite holidays though, almost tying at the top of the list with Christmas. I love how Thanksgiving is all about family and friends, without gifts taking over the conversation. My family hosts Thanksgiving at our house in Pittsburgh each year, and everyone comes over for an entire day filled with eating, drinking, and laughing! This will be my first Thanksgiving heading home since I’ve been a post-grad, and I’ve never been more excited to go back! Last weekend, my friends in New York got together for a friendsgiving celebration, which was a blast 🙂 It was shockingly good for a bunch of kids who just graduated and moved to the city. Everyone brought their favorite dish over to our apartment, and we had tons of food and wine! We may or may not have done rotisserie chickens instead of turkey though… shhh. Another thing I love about Thanksgiving is picking out my outfit! It’s that perfect time of year where the leaves are still changing and it hasn’t started to get too cold out yet. My go-to look will either be a dress and over-the-knee boots or a skirt and sweater with tights and booties. Another great option (to hide your food baby) is a cozy sweater and jeans. Whatever look I choose, I tend to keep it in my “fall neutral” color palette- burgundy, cream, black/gray, or blush! 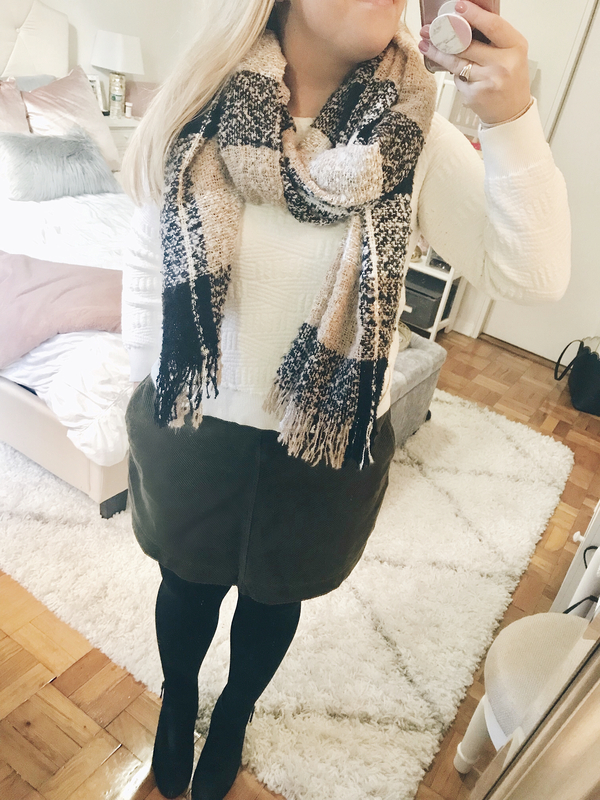 I’ve broken down the best outfit options into four categories: Sweaters, dresses, bottoms (pants and skirts), and shoes/accessories! 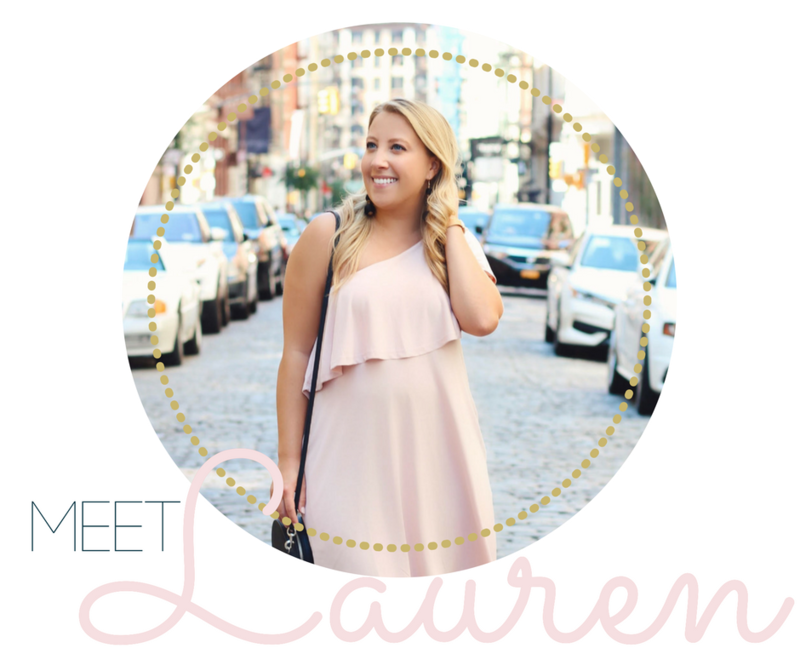 Each edit has 15 options that you can scroll through and click on to shop! Thanksgiving is seriously one of my favorite holidays!! These are all such cute options!!! Thanks for sharing! Such a great look! I actually just bought that scarf, it is so soft! This has been my question all this week, trying to figure out what to wear to my family Thanksgiving this year! Our heads are for sure in the same place, because I was leaning towards my burgundy corduroy skirt! Love all of your picks. Love your comments & information !!! I love your choices, girl! I totally want to add all those skirts and booties to my wishlist, lol! I can’t believe Thanksgiving is less than a week away!! I love your inspo and I hope you have a great holiday! I’m totally wearing a velvet swing dress & leggings! Room for all that turkey ? and green bean casserole ? ? I am loving that scarf you are wearing girl. So cute! Great outfit options for thanksgiving! I love the skirts! So many great picks!! Thanksgiving is one of my favorite holidays! I love picking out my outfit for Thanksgiving and I love all these picks! Great ideas for Thanksgiving outfits! I love the scarf! Your Friendsgiving sounds like it was so much fun! I can’t wait to do that once I’m married and have my own place with Brandon! It’ll be great. You’ve given me some inspo for my Thanksgiving look! Thanks girly! My clothing for thanksgiving is as loose and comfy as possible! Leggings and an oversized sweater for the win! Super comfy but cute! I love the skirt! I wanted to host a Friendsgiving but wasn’t able too 🙁 I hope you enjoyed yours! I love skirts for Thanksgiving! and that scarf is so cute!! Love all of your picks! So so cute! I want them all! Still haven’t picked out my look for Thanksgiving, but this post gives me some great ideas. That scarf is too cute!